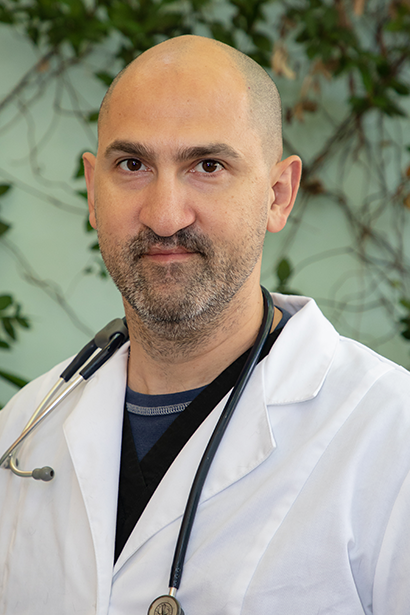 Born and raised in Italy, Dr. Marco Ruffato earned his degree in veterinary medicine from the University of Padua in 2003. He completed internships in London and Canada. Dr. Ruffato has practiced all over the world, including the United Kingdom, Italy, Canada, and the United States. Early in his career as a veterinarian, Dr. Ruffato was passionate about equine medicine, and became a skilled equine orthopedic surgeon. In 2009, he completed a residency in anesthesia and analgesia at Tufts University. In 2013, Dr. Ruffato established Veterinary Anesthesia and Analgesia Specialists (VAAS). Since, he has used his expertise in intensive care medicine, anesthesia for critical care patients, and pain management to aid pets. In addition, he is Certified in Veterinary Medical Acupuncture. Dr. Ruffato also practices at Southeast Veterinary Referral Center in Miami. In his free time, Dr. Ruffato savors time cooking, fishing, snowboarding, and traveling.